4156700 FB16-1E KOMATSU FB16-1E Electric forklift. Spare parts catalog. Service Manual. 4156701 FB16GH-1E KOMATSU FB16GH-1E Electric forklift. Spare parts catalog. Service Manual. 4156702 FB16H-1E KOMATSU FB16H-1E Electric forklift. Spare parts catalog. Service Manual. 4156703 FB16M-1E KOMATSU FB16M-1E Electric forklift. Spare parts catalog. Service Manual. 4156704 FB16MV-1E KOMATSU FB16MV-1E Electric forklift. Spare parts catalog. Service Manual. 4156705 FB16-2E KOMATSU FB16-2E Electric forklift. Spare parts catalog. Service Manual. 4156706 FB16M-2E KOMATSU FB16M-2E Electric forklift. Spare parts catalog. Service Manual. 4156707 FB16-2R KOMATSU FB16-2R Electric forklift. Spare parts catalog. Service Manual. 4156708 FB16M-2R KOMATSU FB16M-2R Electric forklift. Spare parts catalog. Service Manual. 4156709 FB16M-3E KOMATSU FB16M-3E Electric forklift. Spare parts catalog. Service Manual. 4156710 FB16MG-3E KOMATSU FB16MG-3E Electric forklift. Spare parts catalog. Service Manual. 4156711 FB18-1E KOMATSU FB18-1E Electric forklift. Spare parts catalog. Service Manual. 4156712 FB18M-1E KOMATSU FB18M-1E Electric forklift. Spare parts catalog. Service Manual. 4156713 FB18-1R KOMATSU FB18-1R Electric forklift. Spare parts catalog. Service Manual. 4156714 FB18H-1R KOMATSU FB18H-1R Electric forklift. Spare parts catalog. Service Manual. 4156715 FB18M-1R KOMATSU FB18M-1R Electric forklift. Spare parts catalog. Service Manual. 4156716 FB18-2E KOMATSU FB18-2E Electric forklift. Spare parts catalog. Service Manual. 4156717 FB18M-2 KOMATSU FB18M-2 Electric forklift. Spare parts catalog. Service Manual. 4156718 FB18M-2E KOMATSU FB18M-2E Electric forklift. Spare parts catalog. Service Manual. 4156719 FB18MK-2 KOMATSU FB18MK-2 Electric forklift. Spare parts catalog. Service Manual. 4156720 FB18-2R KOMATSU FB18-2R Electric forklift. Spare parts catalog. Service Manual. 4156721 FB18M-2R KOMATSU FB18M-2R Electric forklift. Spare parts catalog. Service Manual. 4156722 FB18M-3 KOMATSU FB18M-3 Electric forklift. Spare parts catalog. Service Manual. 4156723 FB18M-3E KOMATSU FB18M-3E Electric forklift. Spare parts catalog. Service Manual. 4156724 FB18M-3-EC KOMATSU FB18M-3-EC Electric forklift. Spare parts catalog. Service Manual. 4156725 FB18MG-3 KOMATSU FB18MG-3 Electric forklift. Spare parts catalog. Service Manual. 4156726 FB18MG-3E KOMATSU FB18MG-3E Electric forklift. Spare parts catalog. Service Manual. 4156727 FB18-4 KOMATSU FB18-4 Electric forklift. Spare parts catalog. Service Manual. 4156728 FB18L-4 KOMATSU FB18L-4 Electric forklift. Spare parts catalog. Service Manual. 4156729 FB18-5 KOMATSU FB18-5 Electric forklift. Spare parts catalog. Service Manual. 4156730 FB18H-5 KOMATSU FB18H-5 Electric forklift. Spare parts catalog. Service Manual. 4156731 FB18SH-5 KOMATSU FB18SH-5 Electric forklift. Spare parts catalog. Service Manual. 4156732 FB18SH-6 KOMATSU FB18SH-6 Electric forklift. Spare parts catalog. Service Manual. 4156733 FB18EX-7 KOMATSU FB18EX-7 Electric forklift. Spare parts catalog. Service Manual. 4156734 FB18GT-7 KOMATSU FB18GT-7 Electric forklift. Spare parts catalog. Service Manual. 4156735 FB18SH-7 KOMATSU FB18SH-7 Electric forklift. Spare parts catalog. Service Manual. 4156736 FB18SHE-7 KOMATSU FB18SHE-7 Electric forklift. Spare parts catalog. Service Manual. 4156737 FB18EX-8 KOMATSU FB18EX-8 Electric forklift. Spare parts catalog. Service Manual. 4156738 FB18EXF-8 KOMATSU FB18EXF-8 Electric forklift. Spare parts catalog. Service Manual. 4156739 FB18EXG-8 KOMATSU FB18EXG-8 Electric forklift. Spare parts catalog. Service Manual. 4156740 FB18EXGF-8 KOMATSU FB18EXGF-8 Electric forklift. Spare parts catalog. Service Manual. 4156741 FB18EXL-8 KOMATSU FB18EXL-8 Electric forklift. Spare parts catalog. Service Manual. 4156742 FB18EX-10 KOMATSU FB18EX-10 Electric forklift. Spare parts catalog. Service Manual. 4156743 FB18EXF-10 KOMATSU FB18EXF-10 Electric forklift. Spare parts catalog. Service Manual. 4156744 FB18EXG-10 KOMATSU FB18EXG-10 Electric forklift. Spare parts catalog. Service Manual. 4156745 FB18EXGF-10 KOMATSU FB18EXGF-10 Electric forklift. Spare parts catalog. Service Manual. 4156746 FB18EXL-10 KOMATSU FB18EXL-10 Electric forklift. Spare parts catalog. Service Manual. 4156747 FB18EX-11 KOMATSU FB18EX-11 Electric forklift. Spare parts catalog. Service Manual. 4156748 FB18EXF-11 KOMATSU FB18EXF-11 Electric forklift. Spare parts catalog. Service Manual. 4156749 FB18EXG-11 KOMATSU FB18EXG-11 Electric forklift. Spare parts catalog. Service Manual. 4156750 FB18EXGF-11 KOMATSU FB18EXGF-11 Electric forklift. Spare parts catalog. Service Manual. 4156751 FB18EXL-11 KOMATSU FB18EXL-11 Electric forklift. Spare parts catalog. Service Manual. 4156752 FB18-12 KOMATSU FB18-12 Electric forklift. Spare parts catalog. Service Manual. 4156753 FB18F-12 KOMATSU FB18F-12 Electric forklift. Spare parts catalog. Service Manual. 4156754 FB18FU-12 KOMATSU FB18FU-12 Electric forklift. Spare parts catalog. Service Manual. 4156755 FB18G-12 KOMATSU FB18G-12 Electric forklift. Spare parts catalog. Service Manual. 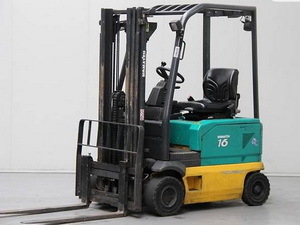 4156756 FB18GF-12 KOMATSU FB18GF-12 Electric forklift. Spare parts catalog. Service Manual. 4156757 FB18HB-12 KOMATSU FB18HB-12 Electric forklift. Spare parts catalog. Service Manual. 4156758 FB18M-12 KOMATSU FB18M-12 Electric forklift. Spare parts catalog. Service Manual. 4156759 FB18MF-12 KOMATSU FB18MF-12 Electric forklift. Spare parts catalog. Service Manual. 4156760 FB18MF-12-A KOMATSU FB18MF-12-A Electric forklift. Spare parts catalog. Service Manual. 4156761 FB18MFU-12 KOMATSU FB18MFU-12 Electric forklift. Spare parts catalog. Service Manual. 4156762 FB18ML-12 KOMATSU FB18ML-12 Electric forklift. Spare parts catalog. Service Manual. 4156763 FB18MU-12 KOMATSU FB18MU-12 Electric forklift. Spare parts catalog. Service Manual. 4156764 FB18U-12 KOMATSU FB18U-12 Electric forklift. Spare parts catalog. Service Manual. 4156765 FS15S-1 KOMATSU FS15S-1 Electric forklift. Spare parts catalog. Service Manual. 4156766 FS15SH-1 KOMATSU FS15SH-1 Electric forklift. Spare parts catalog. Service Manual. 4156767 FS17SH-1 KOMATSU FS17SH-1 Electric forklift. Spare parts catalog. Service Manual. 4156768 FS18S-1 KOMATSU FS18S-1 Electric forklift. Spare parts catalog. Service Manual. 4156769 FS18SH-1 KOMATSU FS18SH-1 Electric forklift. Spare parts catalog. Service Manual. 4156770 FS19SH-1 KOMATSU FS19SH-1 Electric forklift. Spare parts catalog. Service Manual. 4156771 FSV13SH-1 KOMATSU FSV13SH-1 Electric forklift. Spare parts catalog. Service Manual.